With a lovely polished looking site, great bonuses and some of the best looking Bingo rooms around, you’re sure to have a few laughs at Giggle Bingo! The sign up bonuses at Giggle Bingo are great. Upon registration your account will be credited with a £5 non-deposit bonus, enabling you to play straight away. If you go on to deposit, you will receive a very generous 200% deposit bonus on your first transaction. On top of these great sign up incentives, every subsequent deposit of between £20 and £100 you make will entitle you to a 50% deposit match bonus. Giggle Bingo also offer a £5 refer a friend bonus and a ton of innovative loyalty bonuses, such as the Bingo Ball for Life scheme which could see you winning up to £50,000! 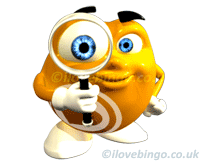 Giggle Bingo’s site looks great – it’s really clean and fresh, making it really clear and easy to navigate. Giggle use Microgaming Bingo software, which is excellent. It is very well laid out and funky looking, with a jam-packed Games menu thanks to Microgaming’s existing catalogue of games – they are a huge name in the online Casino sector. Setting up your account is really simple and all done on one page. Your £5 non-deposit bonus is credited as soon as you open up a Bingo window. 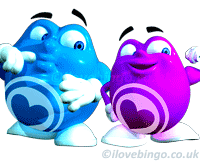 Giggle Bingo offers both 75 Ball and 90 Ball Bingo – the two most popular (and fun!) versions of the game. The Microgaming Bingo software plays really well and looks great, making the Bingo experience at Giggle one of the best around. Promotions and specials abound at Giggle Bingo, with Free Bingo, guaranteed jackpots and special themed promotions showing their faces throughout the schedule. 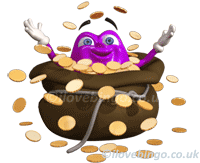 Microgaming’s Bingo software is great for games! A huge name in the online Casino sector, Microgaming have rights to some of the best Slot Machines and Casino Games in the industry, and you can play a lot of them at Giggle Bingo. Be sure to try out the Mini Games, which can be played within the Bingo window, as well as some of the Slots and Casino games which will open in separate windows. We’re big fans of Giggle Bingo. With its fab looking site, generous bonuses and action-packed schedule, you’ll have a real laugh at Giggle Bingo.